The mission of the TechHome Division is simple: increase sales and support of consumer electronics products by professional integrators. Information leader and resource for the connected home industry, provides an unparalleled home technology resource for professionals and consumers worldwide. SDM, Security Distributing and Marketing media serves the security channel; providing management and technical professionals with solutions for the security industry including intrusion, life safety, surveillance, access control, installation, monitoring, smart home, and more. Provides market intelligence focused on emerging consumer technology products and services to companies ranging from Fortune 500 to small start-ups through market reports, primary studies, consumer research, custom research, analysis, consultation, workshops, executive conferences, and annual service subscriptions. Through a unique collaboration among some of the most respected industry associations and businesses, the Electronic Systems Professional Alliance (ESPA) offers high-quality education and credible certification that is universally recognized as the path to a career in installing, maintaining and upgrading 21st century technology. Dedicated to representing, promoting and supporting the electronic life safety, security and systems industry. The Continental Automated Buildings Association is North America's key source for information & education for home and building automation. 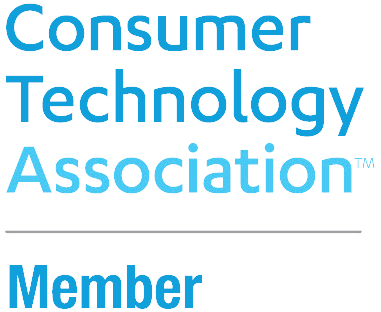 Leading association representing the international technology community. Working to provide a unified voice, global advocacy and to advance industry growth. Through tradeshows, education, certification, government relations, outreach and information services, InfoComm enhances members’ ability to conduct business successfully and competently. Premiere web portal and Home Technology Library. Up to the minute news, in depth articles, product reviews and sources make this website an industry resource. The premier national distributor for the most comprehensive and unique home automation systems. Not-for profit, worldwide professional association whose mission is to represent and support the electronics professional.